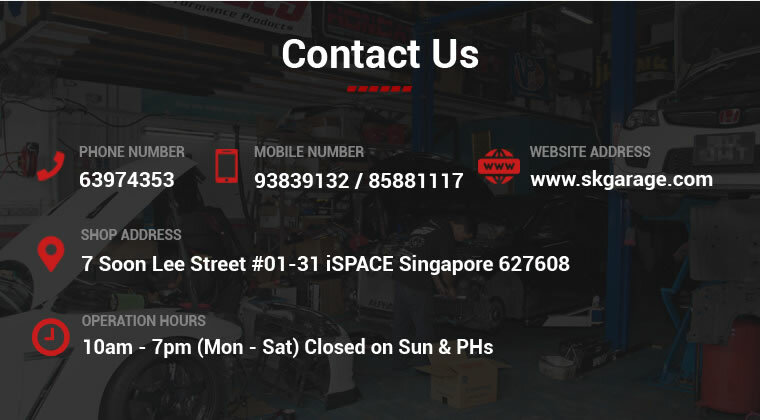 SK Garage (formerly know as Seah Kwang Seng Motor Services) is an engine modification and maintenance workshop. Their services include ECU tuning, port polish service, piston customisation, gear ratio fabrication and other power enhancement services. Being one of the few workshops located in the Western part of Singapore, they also offer send and pick up service (at selected area). With extensive network with local and oversea distributors, car owners can also approach SK Garage to indent performance parts. With its active participation in motorsports, SK Garage is adept at building, maintaining and racing cars - and ones that last.